Ladies, it's high time you got your fair share. It’s hard to know how much you should ask for before taking a job if you don’t know how much you’re worth to a company. You could sell yourself short if you walk into a salary negotiation unprepared and accept an offer for less than what someone with your experience is earning at other companies. Many women are still getting paid less than their male counterparts across all professions. According to the National Women’s Law Center, women would lose $418,800 over the course of a 40-year career based on today’s wage gap. But it’s not a hopeless situation. One way you can help close that gap is by negotiating for what you are worth, rather than just accepting an offer right off the bat. Redfin chief economist Nela Richardson didn’t think she would ever be in that situation while working as a government economist, so she was caught by surprise when she learned a male co-worker in the same position was getting paid over $60,000 more than she was! That was a light-bulb moment for Nela and it changed the course of her career. So, what did she do? She made a plan and left her underpaid job to find one that paid her the amount she was worth. You have the most leverage when a company wants you, so always negotiate before you take a job. In addition to going to networking events, take your time to research different companies and the salaries they are offering. Use sites like Glassdoor and PayScale to find out what positions are worth in your area. 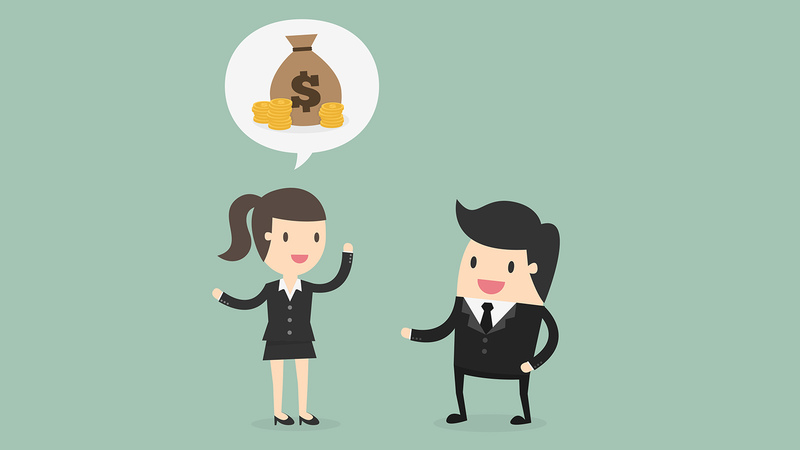 You can use this information as leverage when heading into a salary negotiation meeting. You don’t want to ask for double what a company is offering, but you also shouldn’t settle for the bare minimum. There is always wiggle room. Ask for five to 10 percent more than the industry standard, but be prepared to explain WHY you are worth that much more. Maybe you have additional experience that would benefit the company, or you have a connection that makes you a more appealing candidate. Your company could regret hiring you if you ask for a lot more money, but can’t deliver on your promises. At the same time, a good company will value an employee who knows what they are worth, especially if they can deliver on the promises made during salary negotiations. You have the MOST leverage in negotiations. There is a chance a company won’t be able to give you any more than what they are offering, but they might be able to give you a few extra vacation days or let you work from home once a week. There are things that can be important to you as a prospective employee other than money, but just make sure you get those other agreed-upon benefits in writing. If the hiring manager says they can’t pay you what you’re asking, ask what you would need to do in the role to reach your desired salary. You could also request a guaranteed raise percentage annually or within a certain amount of time. Good employers will respect your drive. A good company will value an employee’s vision for her personal career goals. Be sure to ask about the upward mobility in a company so you can envision what your future would look like if you decide to work for that company. You might not want to take the position if there isn’t much room to grow. An employer will appreciate a driven candidate who wants to turn their position into a career. So, be in the know, and on top of how much you should be making and where you want to direct your career. You deserve just as much money as the other guy. Ready to find your dream job? Hire a TopResume professional resume writer today! Editor's Note: This article was originally published on Redfin.com.